"He will b missed by family and Marian , he brought many happy memories to her"
Marty and Keely Daley and all the kids. "You are loved and will be missed. Love Marty, Keely, Anna, Emma, Julia, Nick an"
Barnhill, Wendell Lockhart. The family of Wendell Lockhart Barnhill sadly announces his passing at the age of 90 years in the Palliative Care Unit of the Colchester East Hants Health Centre, Truro on October 24, 2018. He was born in Truro to the late Charles Homer Barnhill and Edna Catherine (Lockhart) Barnhill. Dad was a lifelong resident of Debert and a very active member of the community. 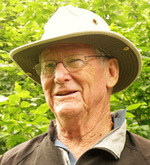 After graduating from Truro Senior High, he helped his father operate Barnhill’s General Store and in 1961 became the proud owner. He was a very wise businessman and in 1971, he did an extensive renovation of the store to make it a self-serve grocery store. In 1983, he sold the business to his son Randy so he could join Mom, who would soon retire from teaching. They travelled to Great Britain, took Alaskan cruises, spent winters in Florida and joined his brother, Fred and his wife, Jean on cross continent motorcycle trips with Newfoundland and Labrador being a highlight. Dad and Fred were founding members of the Local Chapter of the Gold Wing Road Riders Association and welcomed other Wingers from far and wide to their home. Dad was proud of being a charter member of the Debert Volunteer Fire Brigade, serving a number of executive positions. He was elected to Chief in 1974 and held the position for five years. Dad was a faithful member of the Debert United Church. He always seemed to excel in everything he did, such as softball, golf, skiing, scuba diving, pool, bowling, cribbage, fishing, hunting, woodworking, plumbing, electrical work, stained glass work and vehicle repairs, especially Jeeps. Dad wasn’t known for being very talkative, but when he did say something, people listened and heeded his advice. It was always his motto that if something needed to be done, it needed to be done right. This was evident in everything he did. Dad was blessed to be married to two beautiful women – Mom for 50 years and Marian for 17 years. Both were matches made in heaven. He is survived by and will be deeply missed by wife, Marian Daley Barnhill; children, Valerie (Earl) Boudreau, Randy (Sonya), Eric (Kathy); grandchildren, Gene, Carrie, Christa, Craig, Kelly, Courtney, Evan, Chelsea and Carlie; great granddaughters, Ceilidh, Hannah, Kaitlyn and Elizabeth; sister – in –law, Jean Barnhill and several nieces and nephews. Also his American family, the Daley children and their families. He was predeceased by his first wife, Bette (Wilson) Barnhill; sister, Phyllis Putnam and brother, Fred Barnhill. We would like to thank Dad’s 3M Girls, staff at Debert Court and the staff of E-Wing 3rd floor and Palliative Care in the Colchester East Hants Health Centre.